Rose quartz and sterling silver heart pendant. This rose quartz gemstone is a beauty. The stone is transparent - an evenly coloured pastel pink with natural inclusions. 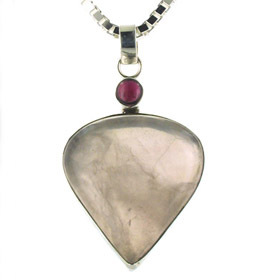 The gemstone is set into a plain sterling silver frame and makes an excellent pink pendant. Browse all our rose quartz jewellery! 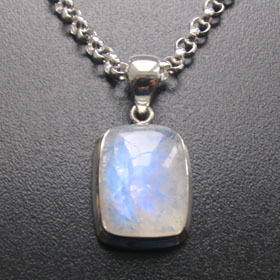 For the ideal sterling silver chain to complement this pendant see our collection of silver chains. 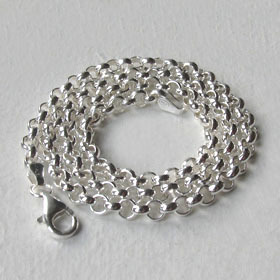 The chain shown is our popular silver belcher chain, width 4mm (see below) available in lengths 16" to 34".